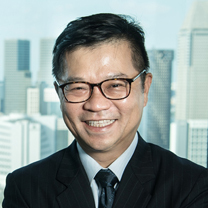 Dr Chin Pak Lin is the Executive Chairman and Chief Executive Officer ("CEO") and was appointed to the Board on 27 September 2017. Dr Chin was one of the founding members of The Orthopaedic Centre and has been a Medical Specialist with the Group since 2013. In addition to his role as a medical specialist, Dr Chin has been actively managing the Group as the CEO and making executive decisions at the Group level in relation to the operations and business direction of the Group. Dr Chin oversees all operational matters of the Group and works closely with the Chief Financial Officer ("CFO") and Chief Operating Officer ("COO") of the Group to ensure that the business runs in an orderly fashion. In addition, Dr Chin has been instrumental in the preparation of the Listing. With the support of his management team, he ensured that the structuring of the listing group, external audit, internal audit and the legal due diligence processes proceeded smoothly. Dr Chin has previously held various appointments such as, inter alia, a Director of the Musculoskeletal Bone Bank, an Adjunct Assistant Professor at Duke-NUS Graduate Medical School and a consultant to Stryker Knee Navigations, Zimmer Knee Arthoplasty and the Department of Orthopaedic Surgery, Singapore General Hospital ("SGH"). Prior to establishing the Group, Dr Chin was a consultant within the Adult Reconstructive Service in the Department of Orthopaedic Surgery at SGH from 2009. Dr Chin spent two (2) years before that as an Associate Consultant with SGH. In the first half of 2008, Dr Chin was a clinical fellow at the Manchester Royal Infirmary, United Kingdom. Dr Chin has been an active volunteer in medical missions like the Pakistan Earthquake Medical Mission Trip under SingHealth and Cambodia Medical Mission Specialist Programme in Calmette Hospital in Phnom Penh under Singapore International Foundation. To date, he is still an active volunteer at the Ang Mo Kio - Thye Hwa Kwan Community Hospital. Dr Chin is also academically active with his numerous peer review publications and teaching assignments locally and internationally. He is an examiner for the Joint Specialty Fellowship Examination in Orthopaedic Surgery at the National University of Singapore ("NUS"). Dr Chin graduated from NUS with a Bachelor of Medicine and Bachelor of Surgery in 1998 and subsequently obtained his Masters of Medicine in Orthopaedic Surgery in 2003 from the Graduate School of Medical Studies, NUS. In 2007, Dr Chin qualified for his fellowship in orthopaedic surgery with the Royal College of Surgeons of Edinburgh, United Kingdom and in 2008, Dr Chin received the Health Manpower Development Programme scholarship from MOH to pursue advanced training in joint replacement at the Manchester Royal Infirmary, United Kingdom. Dr Yue Wai Mun is an Executive Director and the Chief Medical Officer of the Group and was appointed to the Board on 27 September 2017. Dr Yue joined the Group as a medical specialist subspecialising in spine and scoliosis surgery in 2015 and is presently an Adjunct Associate Professor at the Duke-NUS Graduate Medical School and Clinical Senior Lecturer at NUS. Before joining the Group, Dr Yue was a Senior Consultant in the Spine Service of the Department of Orthopaedic Surgery, SGH, from 2009 to 2015, which is the largest orthopaedic unit in Singapore. At the same time, Dr Yue was also the Director of the Spine Fellowship Programme and Director of Quality Assurance and Clinical Governance. Dr Yue was on the Master of Medicine (Orthopaedic) Committee and remains an examiner for the Joint Specialty Fellowship Examination in Orthopaedic Surgery, Master of Medicine Examination in both Orthopaedic Surgery and Family Medicine and the Bachelor of Medicine and Bachelor of Surgery Examination in NUS. He completed his training in orthopaedic surgery in Singapore and received the N Balachandran Memorial Award for Outstanding Orthopaedic Trainee in 2001. He received the Health Manpower Development Plan award from the Ministry of Health ("MOH"), and completed his clinical Spine Fellowship with the University of Missouri-Columbia/Columbia Orthopaedic Group in 2003. Dr Yue has been admitted as a member of the North American Spine Society, Asia Pacific Spine Society Cervical Spine Research Society and the Society for Minimally Invasive Spine Surgery. He is a Life Member of the Asia Pacific Orthopaedic Association and a Founding Member of the Cervical Spine Research Society - Asia-Pacific Section. Dr Yue graduated with a Bachelor of Medicine and Bachelor of Surgery in 1992 from NUS and was admitted as a Fellow of the Royal College of Surgeons of Edinburgh in 1998. He became a Fellow of the Academy of Medicine (Orthopaedic Surgery) in 2004. 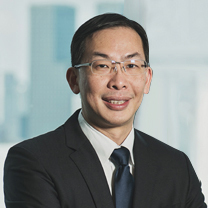 Mr Leow Chung Chong Yam Soon is the Lead Independent Director of the Company and was appointed to the Board on 28 March 2018. 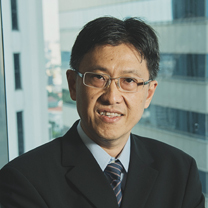 Mr Leow is presently a partner in Ecovis Assurance LLP as well as a Director of Ecovis Advisory Pte. Ltd. and Spring & Associates PAC. Prior to that he was an audit partner with Deloitte & Touche LLP. Mr Leow has more than 20 years of accounting and financial audit experience. 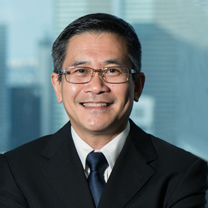 Mr Leow is currently an Independent Director of Fragrance Group Limited, a company listed on the Main Board of the SGX-ST and an Independent Director of No Signboard Holdings Ltd., a company listed on Catalist. He is a practising member of the Institute of Singapore Chartered Accountants (ISCA). He is also a Fellow Chartered Association of Certified Accountants, UK and Certified Public Accountants, USA. Mr Siek Wei Ting, Ryan is an Independent Director of the Company and was appointed to the Board on 28 March 2018. Mr Siek is presently the Finance Director of V3 Group Pte Ltd. He is concurrently a Non-Executive Director of China Minzhong Food Corporation Pte. Ltd., a company formerly listed on the Main Board of the SGX-ST. Prior to joining China Minzhong Food Corporation Pte. Ltd., Mr Siek was the Head of Operations Group, Southern Bank Berhad from 2002 to 2004 and a Director and Chief Executive Officer of EBBiS Pte Ltd from 1999 to 2001. Mr Siek worked as an audit supervisor for Ernst & Young LLP from 2001 to 2002 and for Deloitte & Touche LLP from 1996 to 1999. Mr Siek graduated with a Bachelor of Accountancy from the Nanyang Technological University in 1996. Mr Vikram Nair is an Independent Director of the Company and was appointed to the Board on 28 March 2018. 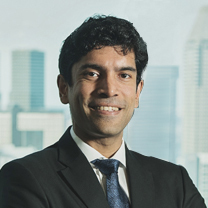 He is presently a partner at Rajah & Tann Singapore LLP and heads its India desk and is also a Member of Parliament for the Sembawang Group Representation Constituency. Mr Nair is qualified in both Singapore and English law and has more than 13 years of experience as a practising lawyer specialising in international arbitration and commercial and corporate litigation, with particular experience in handling complex, multi-jurisdictional disputes in sectors such as banking, finance, oil & gas, manufacturing, mining, construction and property development. Prior to commencing legal practice, Mr Nair was a management consultant at McKinsey & Company from 2002 to 2004. Mr Nair graduated with a Bachelor of Arts with Honours in law from the University of Cambridge.